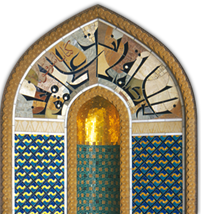 The touring exhibition “Religious Tolerance; Mutual Understanding, Peaceful Coexistence: Oman’s Message of Islam,” sponsored by the Ministry of Awqaf and Religious Affairs, opened today at the Waikato University in Hamilton, New Zealand. The Religious Studies Department of the Waikato University is hosting a series of events in conjunction with the UN’s International Day for Tolerance on November 16, including a conference on Muslim-Christian relations intended “to seek a better understanding” of one another. Iranian PhD candidate Mortaza Shams, speaking in Arabic, welcomed the guests and commended the good relations between peoples. 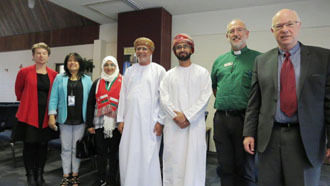 Omani Student Jabir Al Balushi, speaking on behalf of the other Omani students enrolled at Waikato University, gave insights into life in Oman, and is proud that people in Oman can live and share together. The film “Religious Tolerance in Oman” was shown, followed by a question-and-answer session. 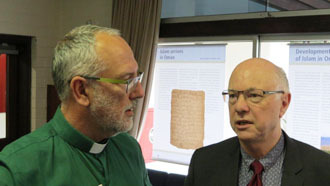 The organizer of the events, Dr Douglas Pratt PhD, DTheol, is Professor of Religious Studies; Adjunct Professor, Theology & Interreligious Relations, University of Bern, Switzerland; Academic Advisor, Waikato Islamic Studies Group New Zealand Associate, and holds the UNESCO Chair in Interreligious and Intercultural Relations – Asia Pacific.